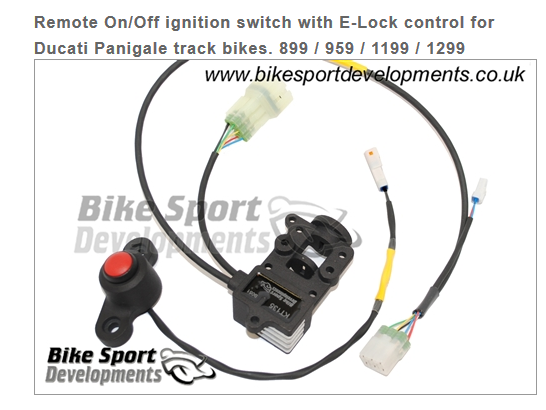 So I just received this kit today (KT135) Remote On/Off ignition switch from bike sport development ltd. I did the install myself. My DUC 899 is a race/track only & I have my bike prepped & ready for a track day at my local track for this weekend. If you dont get a reply by this Sunday I can remove my fairings & show you how i did it. 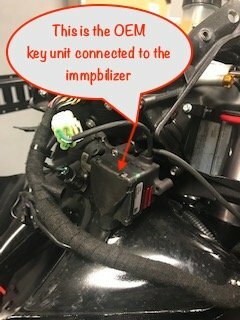 The 6 way plug with pins (top left) connects to the E-Lock module of your original (OEM) key switch after you have re-fitted this part to the new assembly. (Your attached image). 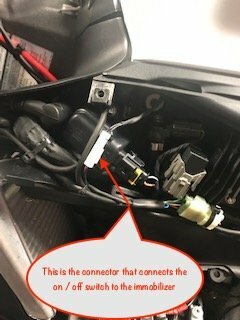 Note that removing the OEM key switch is not easy unless you have the correct tools. I had to use a stud remover. 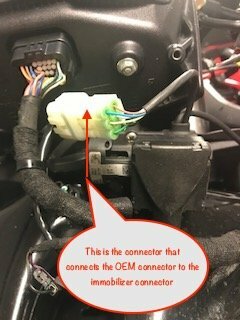 The 6 way plug with sockets (lower right) connects to the bike wiring loom. I mounted the immobilizer in my nose section of my front fairing. I just wanted to update those interested. Everything installed and works flawless. See below video. That's amazing. Does the steering lock work also?